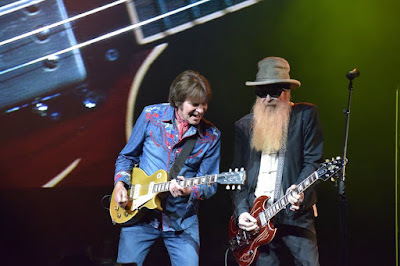 Fogerty will officially release the single on June 8 as the pair continue their five-week US tour, which sees the acts taking turns closing the show each night before it wraps up in Welch, MN on June 29. Fogerty’s 24-song show at the venue was full of legendary tunes from his days with Creedence Clearwater Revival, while presenting solo hits like "Centerfield" and "The Old Man Down the Road." The singer also threw in a series of covers of tracks by Brad Paisley (“Love And War"), Hank Williams ("Jambalaya [On The Bayou]”), Rockin' Sidney ("My Toot Toot") and Gary U.S. Bonds ("New Orleans").